In October – November 2015 and February 2016 artist and researcher Georgios Papadopoulos stayed in a residency organised in collaboration with HIAP – Helsinki International Artist Programme. During the residency and afterwards he will took a critical look at Skills of Economy Sessions events and produced a text Politics as Art against the Art of Economics; Reflections on the Skills of Economy Sessions that is now finally published. Skills of Economy is a multidisciplinary research project extending across a variety of different media that brings into dialogue different artists’ responses to the post-2008 austerity paradigm. 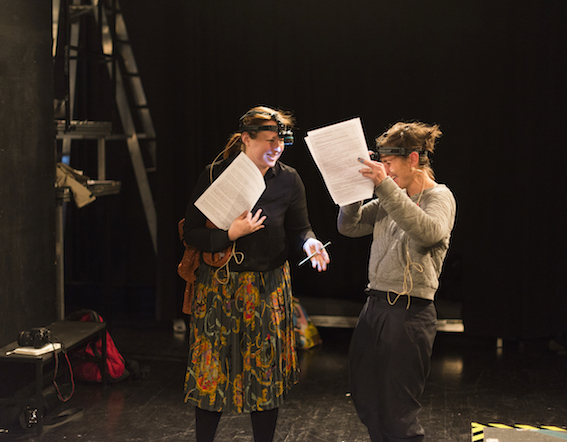 Combinations of some of these responses took the stage during three Sessions of the project that were organized thematically and presented in different theaters Helsinki in the autumn and winter of 2015–2016. The aim of this essay is to reflect on and analyze these events offering a critical perspective on the topic and to start a dialogue on the project, which remains ongoing. The accent is put on methodology and frames the project in the wider debate on the relevance and the efficacy of artistic research. In this essay, the author will describe the different capacities in which artistic practice provides useful ways to collectively and individually engage with economics and offer some thoughts about the criteria for evaluating such interventions from a methodological point of view. More importantly, the author would also like to put forward some ideas about the scope and limitations of artistic and curatorial interventions, where they attempt to leave the confines of the art world and aim to become political praxis. Addressing economic issues from an artist’s point of view can be a very fruitful yet challenging exercise. An important precondition of a successful engagement with the economy is that artists should recognize the same material constraints that market imposes on all social activities, including art; considerations of cost, efficiency, sustainability and rationality are always present in neoliberal societies. It is only if the artists abandon their supposedly privileged position and with it the ideological construction of art as a special and autonomous social practice, that they can recognize, thematize and uncover the economic consequences of austerity for society, including artistic practice. 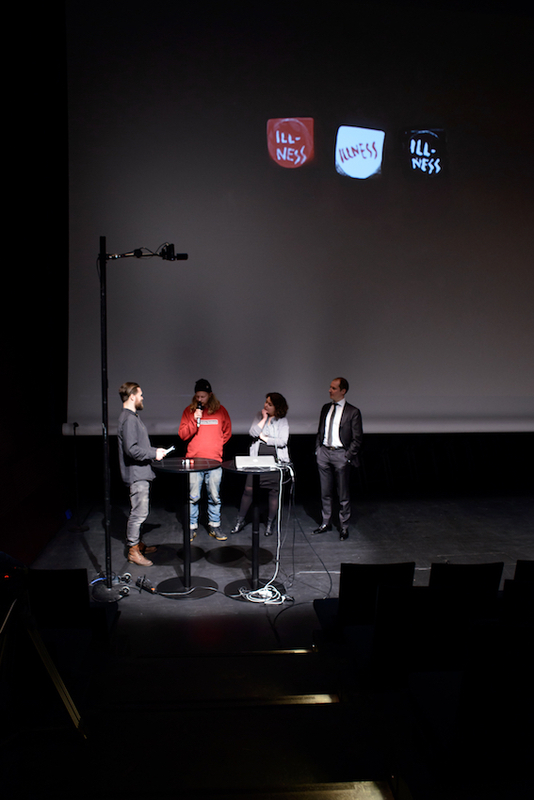 I will start by outlining the content of the three Sessions, which took place on three different Helsinki theater stages at the Theatre Academy, at the Kiasma Museum of Contemporary Art theater and at a suburban cultural center built as part of a social housing project. The sessions were titled Parasites, For the Love and Fear of Welfare, and Beginning from the End. Each session was self-contained with a clear thematic, but connections between them created an overarching? narrative about the contemporary condition of artistic production. 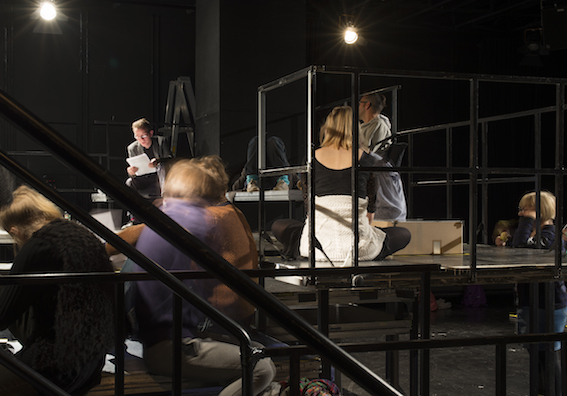 Parasites was the first of the three session and took place on a cold and bright autumn Friday at Helsinki’s Theater Academy, in the traditionally working class neighborhood of Kallio, which is now undergoing a process of gentrification. The title of the session makes a direct reference to the precarious position of artist today, who often depends on grant funding, ad hoc employment and sometimes social welfare to support herself/ himself and their practice. The dependence of the artist on public money is a consequence of a paradigm shift in artistic practice, where the artist is not so much the creator of objects, but rather of situations, and a retreat of economic policies where increasing welfare leads to more public spending including spending on culture. In this new regime of enforced austerity, the artist needs to constantly justify their entitlement to state support, whether through subsidies or through welfare payments. Another interesting and only slightly less obvious reference could be drawn to the famous book by Franz Kafka, The Metamorphosis, where Gregor Samsa, the ‘hero’ of the book, finds himself transformed into a large insect. Pointing out the similarities between Gregor and artists is by no means a novel idea (1) and the set-up of the first of the Sessions as a maze (the architecture of Gregor’s apartment, and especially the doors, are very important for following the book’s plot) and the display of live cockroaches by Karolina Kucia makes such references even more obvious. Nonetheless, what I find even more relevant in the awakening of Gregor in terms of the artistic condition in the post-2008 paradigm of austerity is the realization that artists that have been rendered obsolete in a system ruled by economic rationality, individualism and efficiency – principles that are in many ways foreign, even hostile, to the essence of artistic practice. The ‘awakening’ of the artist when they leaves the – more or less – protective environment of art school is one of alienation, an experience that is necessary for the constitution of their own subjectivity as an artist. The Parasites session tried to come in terms with the realization of an artist as an excluded figure in the new environment ruled by the market, by introducing new ways of understanding the position of the artist, and building relations of solidarity both within the art world and across different disciplines. 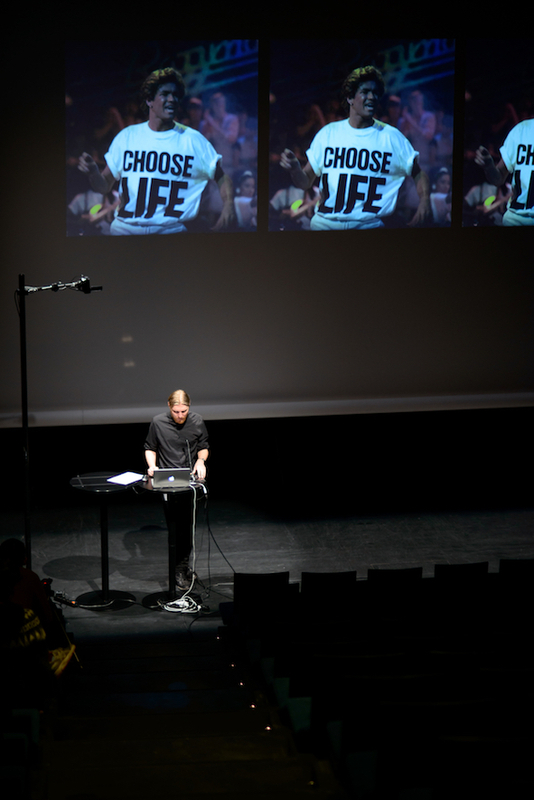 Parasites was based on three theoretical contributions by Mikko Jakonen on precarity, Corina L. Apostol on Artists’ Strikes and Beverly Skeggs on reproduction. The discussion that ensued revolved around the struggles against precarity and the effectiveness or otherwise of such struggles, but also on issues of identity politics concerning the position of the artist in the context of workers’ struggles and the recognition of art as form of labor that is deserving of remuneration. The question of solidarity among artists, a solidarity that is based on the recognition of a common situation, shared life choices, and the collaborative nature of artistic practice, was raised along with the issue of solidarity with other subjectivities that are suppressed and excluded by the monolithic implementation of market logic. Next to theoretical arguments, the interventions by Freja Bäckman and the arrangement of the space through the installation of Karolina Kucia, addressed the issues of community, identity and solidarity in a non-discursive but direct fashion. 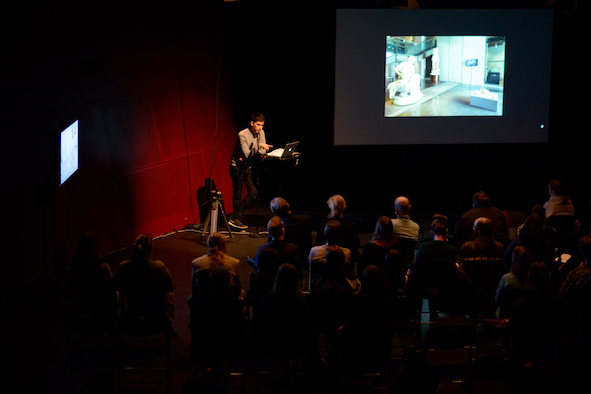 During his intervention in the second session, themed For the Love and Fear of Welfare, Andres Kreuger argued that art is one of the few social fields where meritocracy is the rule rather than the exception. Art thrives on the ideals of autonomy, exceptionalism and creativity. 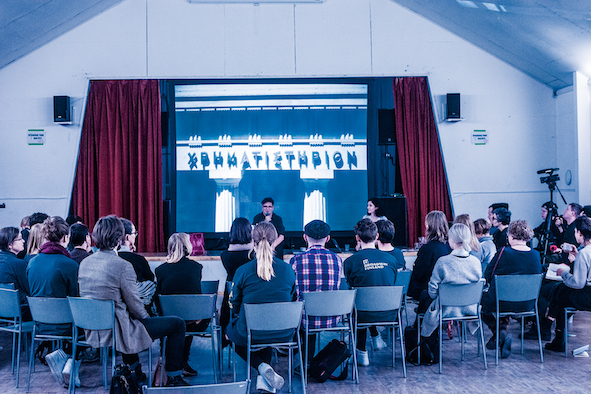 Nonetheless, the setting of this session, which was housed in local social center located far from the center of Helsinki, raised issues of relevance, social responsibility and the participation of different audience(s), highlighting the tension between economic skills and art practice. In addition, the dimensions of economic sustainability and efficiency came to the foreground when the performance group Post Restante introduced money into the equation, adding a further layer of interrelationships and constraints. During this session, the rift between art and the economy became apparent, and the negotiation of this tension, which manifests itself in different degrees of intensity throughout the Skills of Economy, was the driving forces that made this specific Session so engaging. The session started with a very engaging lecture by Päivi Uljas that reminded us of the struggles that lead to the establishment of the Finnish social welfare model. Uljas convincingly argued that government benefits and social security provision are an entitlement that needs to be defended, rather than a form of charity that the state provides to the people. Teppo Eskelinen put forward a comprehensive critique of neoliberalism, debunking the mainstream arguments for austerity, effectively supporting Uljas historical argument for the support of the social welfare system. Maryan Abdulkarim followed up with an inspiring intervention against neo-colonialism and its racist expression in everyday life in Finland. Next to the theoretical analysis of the social welfare model and the performative interventions of Poste Restante on the subject, two films supplemented the program. The first was Time Passes, where Anne Hrjot Guttu, the director, follows a Roma girl in Norway who begs for a living. The film raises questions about solidarity, charity and inclusion from the point of view of the artist. At the other end of the spectrum, Nestori Syrjälä’s Raimo S. is a portrait of retired statesman attempting to make sense of his legacy in the face of impending ecological crisis. The session concluded with a discussion between Jussi Koitela and Katerina Tselou on the contemporary condition of art making, with a specific emphasis on the situation in Athens, where Tselou lives and works as part of the organizing team of Documenta 14, which also thematizes crisis in an attempt to ‘Learn from Athens’, a place where the politics of austerity and the neoliberal ideology find their most extreme expression on the European continent. The final session was the more speculative of the three and the one most distanced from the traditional economic discourse. Beginning from the End, organised at Helsinki’s KIASMA Museum of Contemporary Art theatre, presented alternative ways of facilitating artistic practice and more generally of organizing social life in the face of different kinds of constraints and addressing the question of finality head on. Hybridity and Sustainability were the two conceptual anchors of the event, and the discussion returned to those issues time and again. Especially the video works by Katja Novitskova (A Day in Life With Things I regret Buying) and Valentina Karaga (30 days in the garden/ 15 days on Mars) investigated the space between the two strategies of Hybridity and Sustainability. The event started with Can You Hear the Grasshoppers Sing? 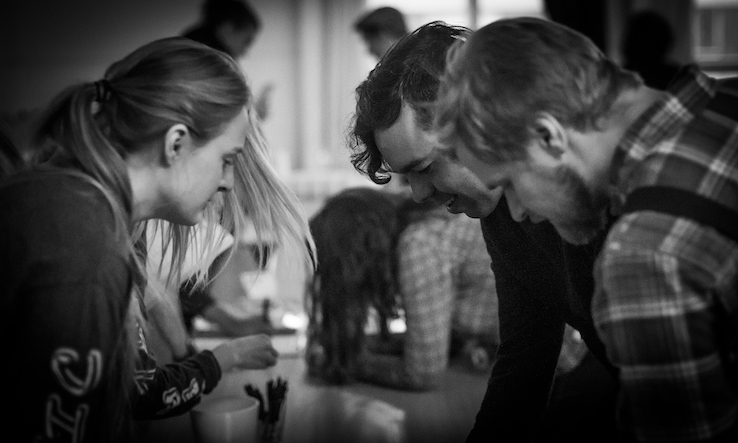 a sound piece by Joonas Siren that served as a constant reminder of the environmental foundations (and constraints) of cultural production and acted as a bridge connecting the different pieces as it was played in the intervals of the session. A series of works by Death Araya Rasdjarmrearnsook (The Class I & II), Lauri Wuolio (Six Ways to Die), and Juuso Tervo (Death is all things we see awake; all we see asleep is sleep), opened the session raising the question of finality in a very direct but also humorous fashion. The remainder of the event took a creative approach to investigating different strategies to overcome such finalities, using technology, art and sociality. There were two more theoretical interventions in the session. Ville Lähde discussed sustainability in his intervention Conceptions of Natural Resources. The session concluded with the contribution Hybridize or Disappear by João Laia that opened up the discussion to the participants and the public. We can discern interesting connections between finality and hybridity, with the latter being one of the contemporary responses to the former. If we define hybridity as an attempt to combine elements from fundamentally distinct systems (material or symbolic), we can expect hybrids to constitute entirely new forces in the natural or cultural environment that challenge the stabilities of the categories that we use to make sense of our world. Technology has always been a force of progress that expands the limits of what is possible, but what defines our contemporary hybrid condition is that different social systems become immersed in new, technologically constituted assemblages, encapsulating the possibility of integrating all the distinctions in a new limitless digital system. Consequently, we could employ the technological potentialities at our disposal to challenge the finalities within our societies, our viewpoints and our bodies. Art and artistic research has the potential to pre-figure some of the coordinates for the emerging hybrid societies, raising important issues about culture and society, and Beginning from the End was indeed one of the venues where such questions were raised and discussed. The three Sessions were intended as independent and self-contained entities, but nonetheless there are important connections between the events that articulate a critique of the economic discourse from an artistic point of view, superseding the confines of traditional economic and social analysis. I think the overarching contribution of the Sessions was a constructive effort to develop a new system for representing economic problems, bringing to the foreground excluded and suppressed social, environmental and political elements. The ability of artistic practice to go beyond the limits of discourse through new, non-linguistic forms of representations, combined with the motivation to give voice and to account for the unrepresented in social antagonism, offers the opportunity to construct alternative narratives and to build new relations of sociality. The Skills of Economy Sessions offer a very interesting example of critical engagement with the economic system, built around artworks employing different media and combined with theoretical interventions from various disciplines in the social sciences. It is true that many other contemporary artists and curators have also addressed economic issues, like money, finance and consumption. However, what makes the Sessions so exciting is their success in bringing together so many art projects about the economy and the fact that despite – or perhaps precisely because of – the sheer number of and diversity among the individual contributions, the Sessions could also ultimately be perceived as a narrative compiled by the curator himself. Thanks to specific ways and media involved in the three Sessions, the curatorial practice produces active forms of engagement for the audience that is directed through the argument, but also encouraged to fill in the gaps and make their own associations. In this way, the artistic and the political, the aesthetic and the economic are brought into dialogue by the gaze of the viewer. The engaged and engaging style of curating is complementary to the thematic of economic criticism and allows for the cultivation of new political sensitivities and an enhanced sense of sharing and community with the participating artists and theorists. The socially-interventionist and politically engaged art as of the Sessions is by no means novel or provocative; it has been institutionalized in the mainstream, at least since Documenta X, which established criticism and education as important functions of contemporary art. In recent years, an increasing number of high profile art events have been conceived as opportunities for political intervention with view to producing new narratives of social organization, raising awareness among the ‘public’ and contributing to the development of a new aesthetic of the social and the economic as the Sessions attempted. Politically engaged art is establishing itself as the mainstream, somehow paradoxically, in a period when globalization, neoliberalism and the consumer society are rapidly expanding. The timing of the movement of contemporary art towards the political and against the market economy and its neoliberal foundations is by no means an accident. The advance of economic rationality as the dominant meta-narrative of social interaction was accompanied by a retreat of the traditional actors of political critique. The failure of social movements, trade-unions, and left-wing parties to act as agents of critique and transformation vacated a space in the political arena and allowed the arts to act as one of the available fields of critique. The experience of artists as the political avant-garde has greatly contributed to the re-politicization of artistic practices. Thus, radically democratic, counter-hegemonic, artistic interventions emerged, resulting in a proliferation of publications, talks and manifestos substituting traditional media of political critique. The appearance of a new “criticality” (Rogoff 2006, 1), the development of political discourse and the interest towards society and its pathologies represents a new condition for contemporary art that tries to compensate for the absence of real critique against the established order from within the appropriate political and economic institutions. Criticality refers to the ways in which artistic practice can introduce political ideas like the demand for a radical democracy, or refer to frameworks of political analysis like critical and queer theory, post-colonial and post Marxist ideas in art-making. Contemporary art represents yet another effort to perform the ideas of such discourses, usually in the protected space of art exhibitions, transforming cultural institutions into theatres of resistance against neoliberal ideology and its rationality. The turn of art towards politics can capitalize on social energies that are suppressed in the current free market system based on capital, allowing them to find possibilities for expression and giving them a voice and an audience (Kompatsiaris 2014, 89-90). The critique against the established order happens not only through artistic, but especially through educational and research practices – the goal being a more open society in the name of democratization of the arts and a challenge of the relationship between artists and audiences. The defining moment in the turn of contemporary art towards social research and criticism, motivated by a radical democratic ethos and involvement in politics was the the 10th edition of Documenta from 1997. Documenta X was distinctly different from the previous edition as well as from all other large-scale exhibitions. For Mónica Amor Documenta X adopted “the political project of the avant-garde and stood in opposition to the structure of the mega-show” (1997, 95), developing a critique of the market economy and its intensification through the processes of globalization and financialization. The transformative impact of Documenta X was enhanced by the next, eleventh, edition from 2002 that utilized the post-colonial literature as the backbone of its curatorial practice. The consequent shift in the orientation of producing and exhibiting was described by Jonas Ekeberg as “new institutionalism”, (2) referring to new ways of engaging institutions so as to be able to integrate contemporary art with criticism and research. New institutionalism was proposed and implemented by certain European curators since the late 1990s, like Catherine David, Charles Esche, Maria Lind, and Jonas Ekeberg himself, all of which were active in the biennial scene (Kompatsiaris 2014, 19). 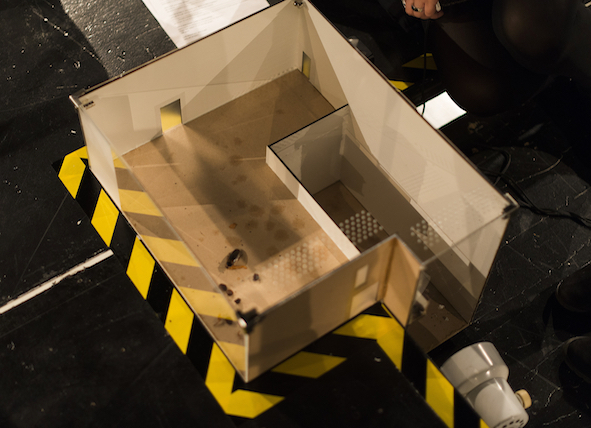 Exhibitions were conceived as events that developed beyond the presentation of artworks and that could be described as “part community center, part laboratory, part school, putting less emphasis on the showroom function that traditionally belonged to the art space” (Kolb and Flückiger 2013b, 27). The Skills of Economy Sessions combined new institutionalism and new criticality, subscribing to an alternative model for contemporary art, where artistic research and artistic production are aligned to develop a new discourse that can represent the people, their concerns and their desires against a presumably oppressive and unjust economic order. The Sessions follow the example of a much needed “re-politicisation able to undermine the hegemony of neoliberal, consumerist post-democracy and its multiple mechanisms of control (from enforcement technologies to commanded enjoyment)” Stavrakakis (2012, 109). The alienating effects of the consumer society, the unjust distribution of social production, the depletion of natural resources, the environmental crisis, the precarious position of the contemporary artist and the neo-colonial relations that inform the process of globalization, all these issues have been present in the unfolding of the project. To understand and evaluate the contribution of the Skills of Economy, one needs to first consider the nature of artistic research and artistic critique, their capacities for intervention and especially their distinct contribution to the perception of the social. The foundation of my analysis of artistic research is the ontological relativity of social reality, the fact that it is necessarily constructed by and mediated through representations. Social facts depend on shared representations, both linguistic and iconographic, and these representations substantiate the discursive constitution of the social (Searle 2010). Unmediated reality is “an ontological absolute”, a pure self-contained being. Unrepresented facts are unknowable, unreachable, outside the realms of language and symbolization, as the famous Lacanian statement explains: “The Real is what resists symbolization absolutely” (Lacan 1988, 66). Consequently, there is a distinction between reality and the Real, suggesting that representation is not a distortion or a mystification of reality, but rather the unavoidable medium for social constitution. Art operates in the intermediate space between language and reality informing the latter by producing new aesthetic representations of the environment parallel to the linguistic articulations of social significance. In order to truly make sense of artistic critiques put forward on social issues, we need to introduce an elementary philosophical distinction between the ontologies of social and natural facts. The main assumption is that social facts are dependent on human consciousness and representation, while only the natural world is ontologically objective. Discursive, performative and iconographic formations create a veil of meaning that is superimposed on the physical world and gives rise to human interaction and social reality. Meaning is the constitutive element of sociality, while the representations that we share about the world bring social facts into existence. The two-tiered ontology of the natural and the social allows for a non-deterministic analysis of social reality and opens the space for artistic practice and research as constitutive forces of social construction. Following Chantal Mouffe (2013), I argue that individual and collective representations, which give rise to social significance, are contingent because they are merely the outcome of social negotiations between different subjectivities that struggle to impose their own interpretations of social phenomena, effectively establishing their own beliefs and interests, not as just or as socially beneficial, but as objective. Social reality is a universalization of the perspective of a particular hegemonic subjectivity that imposes its will on the society. The process of social constitution is by no means linear or monolithic; there are constraints posed by the established socio-technological order, and by other actors, their interests and their beliefs. Social antagonism is not objective, but “reveals the limits of objectivity” (3) and is the outcome of the lack of a common, objective and unmediated social reality. The impossibility of accessing “things in themselves”, and the consequent lack of an objective articulation of social relations is the cause of conflict at the epistemic level, where the different articulations of the social are negotiated and synthesized simultaneously through argument and force. In the final analysis, antagonism is the ontological condition of the social. The hegemonic moment in the process of social constitution is the imposition of a particular articulation as universal. In the discursive construction of social reality, the problem is not its ideological character, but the pretence of universality, which is often disguised under a veil of rationality, naturalness, or efficiency. The role of critique, artistic or otherwise, is then to challenge the necessarily limited articulations of reality that are universalized as hegemonic, by expressing the unrepresented elements of the social. If no discursive formation can provide an objective and full representation of reality in its totality, the negotiation of social constitutions cannot be conclusive. The impossibility of an all-encompassing system of meaning is the guarantee that artistic interventions will always be able to find space for intervention in the gaps between the linguistic representations and their unaccounted-for remainder. Artistic practice can achieve this radical break; not to suspend momentarily the dominant ideology, but to overthrow it by producing different representations of sociality that go beyond the constitutive ideology and are capable of transcending even language. (4) The radical critique of social reality should aim to an affective reinvestment that can resist the pre-existing representations; an absolute de-territorialization of theoretical critique that can momentarily resist the fate of re-territorialization by the system of semiotic reproduction. Critically oriented artistic interventions often appropriate political narratives, inscribing them with new meaning(s), infecting the conditions of their social representation. Art is not constrained by the limits of theory or language in its efforts to account for the unrepresented elements of reality through aesthetic interventions, so artistic critique can create frictions in the circulation of ideology and ruptures in the layer of meaning that is superimposed on the world by it. Thus, challenges to the mainstream interpretations of reality emerge, contradicting ideology, and opening up space for new possibilities of social constitution. The limits of the established universalization are eventually manifested and their legitimacy is contested. The tension between hegemony and artistic intervention and the ability of the latter to uncover the limits of ideology and its tendency towards universalization is founded on the inconclusiveness of discursive constitutions. In this fashion, the Skills of Economy Sessions challenged the rupture between theory and practice by replacing it with a conversation between different media, different narratives and different disciplines, capitalizing on the capacity of artistic practice to transcend the limits of the different systems of representation. The Sessions offer an investigation and a commentary on the act of representation itself. The venues were reconstituted as spaces of encounter between the artist and the audience that would transcend the individual positions, tending towards the constitution of distinct communities. The dominant interpellations of the market ideology were replaced by newly constituted systems of signification. In this context, the critique of the economic system was reterritorialized in a framework defined by the participants themselves and not by the traditional narratives of economic ideology. The recent financial crisis, with its repercussions for the ‘real’ economy and the policies of ‘austerity’ that followed, has been the most visible but not the only indication of the dominance of economic discourse over social dynamics. Economic crisis is not a failure of the economic system but a mechanism of redistribution, always from the victims to the perpetrators of the crisis, and enables the further expansion of an economic logic that invariably leads to new crises, following the dynamics of the economic cycle. Many artists have voiced their concern about the crisis and the austerity policies that followed. The Skills of Economy Sessions is a further attempt to bring such expressions of artistic criticism into dialogue, working towards the creation of an alternative narrative of social organization. Cuts have affected the funding of the cultural sector, directly influencing the incomes and in many cases the very ability of artists to produce new work. The critique of the deteriorating conditions of the remuneration of cultural work goes beyond the self-interest of the artists or the recent economic depression―class has been an issue of fundamental importance for artists at least since the time of the Surrealists, and the Parasites Session addressed the class identity of artists and the possibility of building relations of solidarity with other groups of the disenfranchised working class. During Parasites, a critique about income inequality in general was developed along with an argument that the worsening of conditions in the cultural field is linked to an overall deterioration of labour rights. (5) The importance of finding working class allies was recognized along with fact that artistic practice is an integral part of the social antagonism between employers and employees, between capital and labour and of real democracy and the equitable distribution of the social production. Next to the question of just remuneration, the alienating effect of consumption, where commodities and spectacles address the subject and articulate its desire according to the mandates of production, has been problematized in part throughout the Sessions. In market societies, social relations are inescapably consumed and consummated in a series of commodities that represent them; the aim is the complete commodification of all relations to the external world and total representation of the world by a self-constituting and consistent system of representation. In this context, the identity of the consumer and the reciprocity between the imaginary self-perception and the symbolic dimension of consumption are becoming an increasingly important determinant of individual identities. Individuals perceive their personal value and their social relations in terms of their preferences over commodities and their ability to consume, while employment has also been transformed into a commodity to be consumed by the worker along with all other commodities. The ability and the freedom to partake of enjoy as well as the prohibitions against enjoyment are perceived by the subject in economic or, more precisely, in monetary terms. These monetary constraints mask the fundamental inability of the capitalist symbolic order to provide enjoyment for the subject. The subject perceives this failure as its own inability to consume as much as it desires; thus the failure to consume creates only the impulse for more consumption. The economic constraints mask the alienating influence of the consumer society and its fundamental inability to fulfil the subject’s desires. Art acts as a reminder of the limitations of the markets as a domain of enjoyment and self-actualization. If consumption is motivated by a drive for instant and unimpeded gratification, where the distance between the subject and the object of desire is bridged by the intervention of money, the subject remains unsatisfied. It is not the fulfilment but the postponement of enjoyment that is the condition for the existence of desire; desire does not want to be fulfilled but strives to remain active and to maintain the affective tension of the subject. Desire is constitutively out-of-its place, fragmented and dispersed, existing in deviations from ‘itself’ or its supposed object. What supports and constitutes the human desire economy is exactly this open point, the object-cause of desire that is decentering the imaginary consistency upon which enjoyment is constituted. Artistic practice is in a position to address the constitutive tension of desire without dissolving it, as long as it has the ability to conserve the ambiguous relation between the subject and the object without privileging either. The driving force behind the Skills of Economy Sessions, was the intention to investigate the ability of art and, to an extent, of theory, to create an impact within economic and political life. To that effect, certain processes of exchange and production were developed that exceeded what was presented on stage during the three session. Of course, the contradiction and the limitations of contemporary art practices were also present and became apparent in certain instances. Nonetheless, the attempt to close ranks with artists and join the social forces that try to create a critique against neoliberal and austerity, which at the time in Finland, were very present and powerful, was felt throughout the project. The comparative advantage of artistic practice in social criticism lies in its capacity to produce representations of the social and the political that are not constrained by the limits of language or ideology. Artists are able to construct alternative iconographies of the social by influencing the aesthetic sensibilities of their publics. Their critiques can transform meaning and are potent enough to transform situations, bringing forward accounts of their social environment that escape or even undermine the dominant interpretations. The Sessions were especially successful to that effect in that they combined performative and visual representations with critical theory to challenge both the rational and the affective grip of the dominant neoliberal ideology on the subject. Obviously, the capacity of the project to challenge the power relations, and moreover, to replace the hegemonic narratives that inform the views of the public was limited outside the very specific artistic context―in our case the three theatre stages―because such interventions were understood primarily as artistic and their appeal as genuinely political acts was neutralized because of the dominant ideology about the role and place of art and culture in society. Art is both blessed and cursed by its ability to go beyond language and ideology, enjoying a special position that enables and constrains its capacity to transform social sensibilities outside the space of artistic practice. The effects remain aesthetic and contemporary artistic practices seem condemned to remain inconsequential outside their habitat. Here I am referring to the opposite of the problem of “aestheticization” and “spectacularity” as it was raised in the writings of Walter Benjamin (Benjamin 1968) about the relation between art and politics. Artistic strategies with a politic aim are misunderstood as mere spectacle without any currency outside the domain of art because of their origin. The ontological specificity of artistic practice is not the only or the main concern artists raise when voicing their criticism against the prevailing economic system and its ideology. The fact that art relies on the same economic institutions that it aims to challenge, i.e. the market, the state and the big multinational corporations, including international banks, arms manufacturers and oil companies, contradicts the anti-capitalist rhetoric of contemporary art. Such a critique may seem also pertinent against the idea of the autonomy of the arts or the artists, but I think it can be especially troubling in the case of artistic interventions that target the way in which the market economy controls social relations. The distance between theory and practice, or in our case, between the critique of the economic system and the dependence on it and its logic, is even more striking if one looks at the conditions of employment in the cultural sector, one of the most exploitative and badly paid fields (Abbing 2002), the competitive attitudes that inform the relations of cultural production, supported by the myth of the solitary artistic creator, and the uneven distribution of income among workers in the arts. Considering the state of affairs in the cultural sector and the inability of artists to bring about change in the conditions of their own employment, one should be very modest about the ability of art to bring about social change or to challenge the neoliberal ideology that supports exploitation. In a very contradictory, almost perverse, fashion the critical stance of artists against the economic system and its logic is, at least partly, responsible for their own exploitation by it. Such an obvious paradox is very illuminating not only in terms of the precarious position of the artists but also highlights the obstacles that artists face when they are engaged with social issues. The belief that art is special, and therefore the boundary between art and the economy should be maintained, makes any attempt to raise questions about remuneration, social security benefits, division of revenues among the different stakeholders in the cultural sector, or rationalization of the system of subsidies, difficult (Abbing 2015, 93). Many artists prefer to address general challenges about the economic system, rather than raising the more specific, but also more concrete instances of their own exploitation and that of their colleagues, questions that they encounter in their everyday artistic practice. The decision to face these questions head on, especially during the first Session, Parasites, offers a way out of this impasse through an attempt to change the conditions of artistic productions here and now, but without substituting art with trade unionism. What the project achieved is the creation of a community, based on relations of solidarity and honest exchange, which managed to articulate a critique of the existing conditions of artistic production, transforming at the same time the relations that defined the collaboration among its own members. 1) “Let us look closer at the transformation. The change, though shocking and striking, is not quite so odd as might be assumed at first glance. A commonsensical commentator (Paul L. Landsberg in The Kafka Problem , ed. Angel Flores) notes that “When we go to bed in unfamiliar surroundings, we are apt to have a moment of bewilderment upon awakening, a sudden sense of unreality, and this experience must occur over and over again in the life of a commercial traveler, a manner of living that renders impossible any sense of continuity.” The sense of reality depends upon continuity, upon duration. After all, awakening as an insect is not much different from awakening as Napoleon or George Washington. (I knew a man who awoke as the Emperor of Brazil.) On the other hand, the isolation, and the strangeness, of so-called reality—this is, after all, something which constantly characterizes the artist, the genius, the discoverer. The Samsa family around the fantastic insect is nothing else than mediocrity surrounding genius.” (Nabokov 1952). Abbing, Hans. 2002. Why Are Artists Poor? The Exceptional Economy of the Arts. Amsterdam: Amsterdam University Press. Abbing, Hans. 2015. Notes on the Exploitation of Poor Artist. In Kozłowski, Michał, Agnieszka Kurant, Jan Sowa, Krystian Szadkowski and Jakub Szreder (eds). 2014. Joy Forever: The Political Economy of Social Creativity. London: MayFly Books, 83-100. Amor, Mónica. 1997. Documenta X: Reclaiming the Political Project of the Avant-garde. Third Text, 11 (40): 95-100. Benjamin, Walter. 1968. Illuminations. New York: Schocken. Borgdorff, Henk. The Conflict of the Faculties. Leiden: Leiden University Press, 2012. Goux, Jean-Joseph. 1990. Symbolic Economies; After Marx and Freud. Ithaca: Cornell University Press. Hirschman, Albert O. 1977. The Passions and the Interests: Political Arguments for Capitalism before Its Triumph. Princeton, NJ: Princeton University Press. Kolb, Lucie and Gabriel Flückiger. 2013a. The term was snapped out of the air. An interview with Jonas Ekberg. On Curating, 21, 20-23. http://www.on-curating.org/index.php/issue-21-reader/the-term-was-snapped-out-of-the-air.html#.VPVrMS7ET20. Web. Kolb, Lucie and Gabriel Flückiger. 2013b. We were learning by doing. An Interview with Charles Esche. On Curating. 21, 24-28.http://www.on-curating.org/index.php/issue-21-reader/we-were-learning-by-doing.html#.VPVvBC7ET20. Web. Koitela, Jussi. Skills of Economy. www.skillsofeconomy.com. Web. Kompatsiaris, Panos. 2014.Curating Resistances; Crisis and the limits of the political turn in contemporary art biennials. PhD Thesis, University of Edinburgh. Laclau, Ernesto and Chantal Mouffe. 2000. Hegemony and Socialist Strategy; Towards a Radical Democratic Politics. London: Verso. Laclau, Ernesto. Emancipations. London: Verso, 1996. Mouffe, Chantal. 2013. Agonistics: Thinking the World Politically. London: Verso. Papadopoulos, Georgios. 2011. Notes towards a Critique of Money. Maastricht: Jan Van Eyck Academie. Nabokov, Vladimir. 1952. Lecture on the Metamorphosis. http://www.kafka.org/index.php?id=191,209,0,0,1,0 . Web. Precarious Workers Brigade and Carrot Workers Collective. 2014. Free Labour Syndrome. 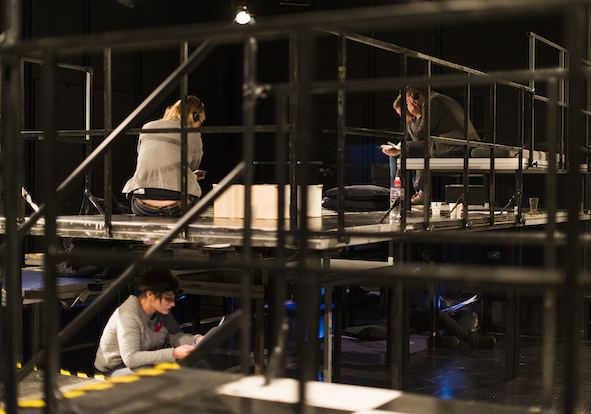 Volunteer Work and Unpaid Overtime in the Creative and Cultural Sector. In Kozłowski, Michał, Agnieszka Kurant, Jan Sowa, Krystian Szadkowski and Jakub Szreder (eds). 2014. Joy Forever: The Political Economy of Social Creativity. London: MayFly Books, 211-225. Popper, Karl. Conjectures and Refutations: The Growth of Scientific Knowledge. London: Routledge, 1963. Rheinberger, Hans-Jörg. Experimentalsysteme und epistemische Dinge: Eine Geschichte der Proteinsynthese im Reagenzglas. Frankfurt.a.M. : Suhrkamp, 2006. Rogoff, Irit. 2006. “Smuggling” – An Embodied Criticality. Aarhus: curatorial.net, 1-7. http://www.curatorial.net/resources/Rogoff_Smuggling.pdf. Web. Stavrakakis, Yannis. 2011. Apocalypse Now? In Papadopoulos, Georgios. 2011. Notes towards a Critique of Money. Maastricht: Jan Van Eyck Academie, 109-116.